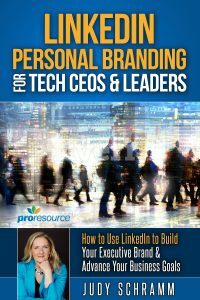 What Judy says in her intro to Executive Guide to Social Media: How to Create a Strong Personal Brand & Use Social Media Towards Your Business Goals rings true – and I interpret it as Don’t think about social media as a separate (distasteful?) task – it’s really just a different way to relate to people and try to hold meaningful conversations. And, I do actually enjoy Facebook for connecting with people I knew in former lives, such as family and friends from my time living in Israel, and former job colleagues, and art buddies, and … sometimes, even my husband, who may be in the same room posting a photo he took of us hiking or when we went to the latest Tedeschi Trucks Band concert. But, that’s all kinda personal connections, right? These are people I don’t mind keeping up with about hobbies, travel adventures, and perhaps even political leanings. What kind of value? When you suddenly find yourself separated from a job, your mind opens up to all the new possibilities opening up for the next stage in your career and in fact, in your life. In recent years, I’ve thought more about the concept of being who you are at work, bringing your authentic self to the workplace, while still maintaining privacy about your personal life. That’s easy to say but hard to do, especially if you rely on your job financially, which most of us do. But when considering next steps after a layoff, looking for something that’s a reflection of your authentic self suddenly seems within reach. So for me, I’m going to look at the value of LinkedIn not just to reach out to my networks, join groups, check for jobs I’m qualified for, and post thoughtful messages. I want to turn my LinkedIn journey of discovery into an opportunity to match up my next career step to my authentic self. It took me a few days after getting laid off to want to think about my LinkedIn profile, but once I got to it, I did spend some time reviewing and revising it. Hey, finally I actually had the luxury of time to spend on LinkedIn! 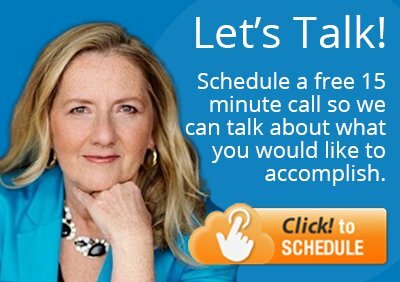 This is why the service that Judy provides her clients makes perfect sense – so many executives just don’t have the time to use the power of LinkedIn even for business promotion, so having professional support enables them to stay current and active. I changed my headline from the previously boring one to this one. I’m not too sure about it – does it communicate the value I can bring to customers and others? And what about my “authentic self”? As I also identify myself as a creative spirit and have been pursuing my passion for painting, how much of that should I include in my headline? Note that you should use the most important words in the beginning, because longer headlines get truncated when people view them. Since I am also an artist and can handle graphics, I decided to let my header graphic do some of the work and created a collage in PhotoShop (pixel size 1584×396 per LinkedIn) that shows my boxers on the couch and two paintings I did of them. Want to join me in perfecting my headline? That would be fun – a crowdsourced LinkedIn profile! Email me at talywalsh@yahoo.com or respond to this post to give me advice! Next: Get a really good (current) professional photo of yourself…Note to self. The one I have is ok I think, but it’s a few years old, so – time to update. Want to see how Taly tackled the next steps in her LinkedIn journey? Check out her fool-proof tips for creating a winning LinkedIn summary and read about her job search journey.